Perhaps this is a little overdue. And perhaps a more apt title would be “Things I Have Been Pondering All Month.” But nevertheless, here it is. A few hydrangeas that were snipped from a friend’s yard on Long Island’s North Fork. 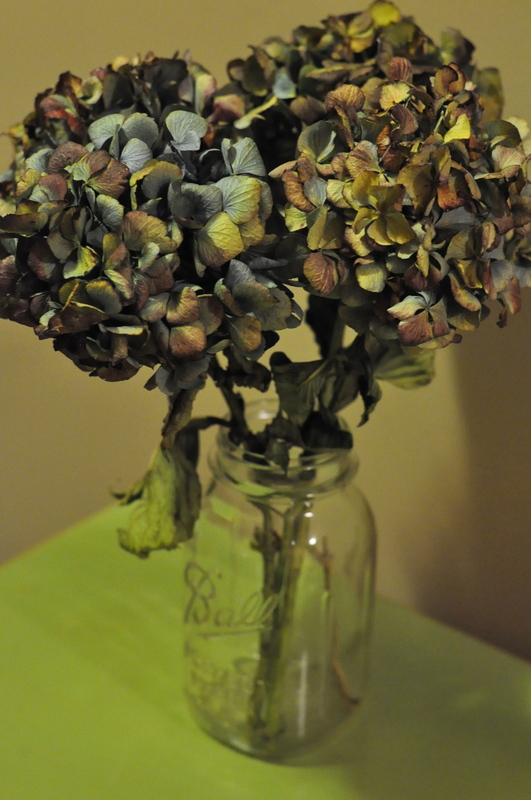 I think dried flowers are autumn’s perfect solution to freshly cut flowers. This box is less than a block away and I can’t for the life of me figure out how I missed this until just now. 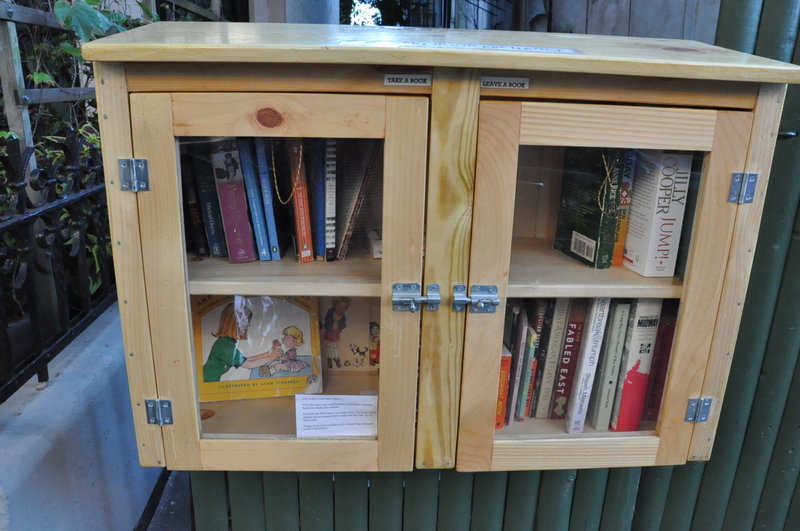 A communal book share? Well, now I can never leave Brooklyn. Ever. 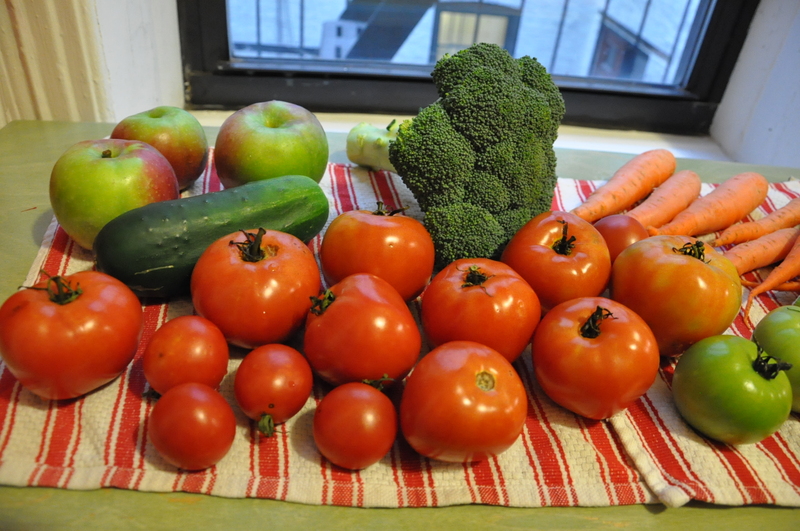 Farmer’s market loot and a final shipment of ripe tomatoes from my parents’ upstate garden brought a little color into my apartment on a dark, rainy day. 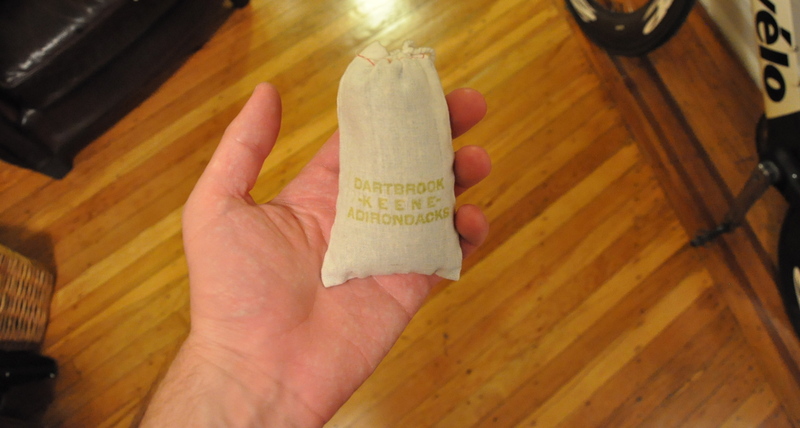 A souvenir full of fragrant pine needles from a recent trip to the Adirondacks. I place it strategically on top of my dresser so I can catch a whiff of the woods first thing every morning. 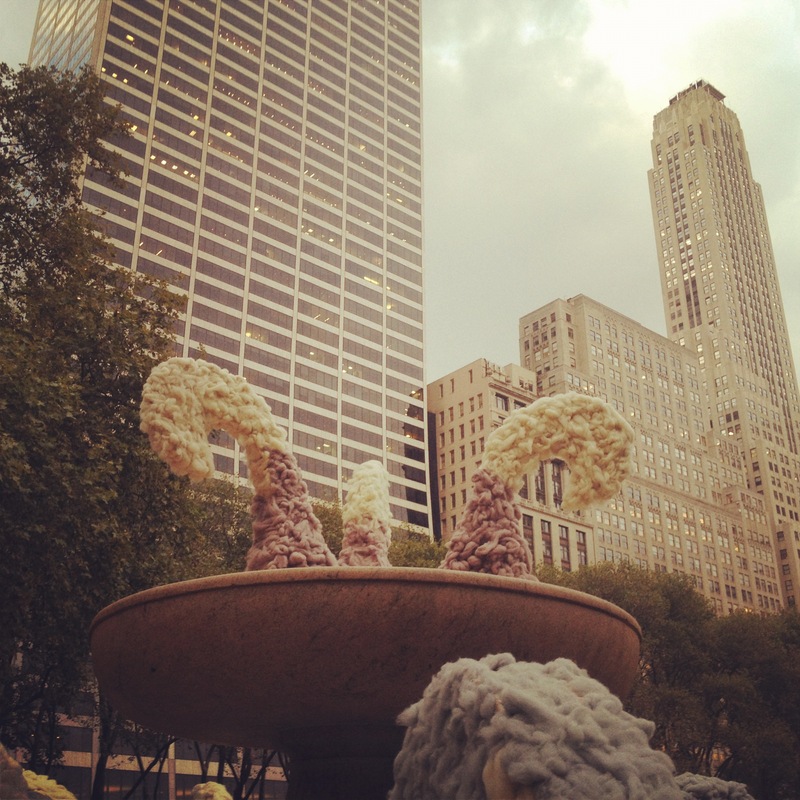 And lastly, after a long day of work, nothing beats confronting a fountain covered in wool in Bryant Park. There was also a chicken-wire pen full of sheep nearby, but I found that to be a bit more sad than photographic.